The conversational commerce hype is becoming a reality. In early 2018 the city of San Jose — deep in California’s Santa Clara Valley — hosted two events a week apart that together signalled the most significant shift in consumer behaviour for over a decade. Scott Brinker’s annual Marketing Technology Landscape Supergraphic tracks the growth and evolution of the MarTech ecosystem. First, on April 24th 2018 at MarTech conference, Scott Brinker launched his latest Marketing Technology Landscape Supergraphic. It contained a new category — ‘Bots & Live Chat’ — listing established brands HubSpot and LivePerson with a new cohort of partners including Drift, Chatfuel, and Jivochat. Half of those on the list offer businesses the ability to manage conversations with customers through channels like Facebook Messenger. A week later, at Facebook’s F8 conference, David Marcus unveiled a similar slide containing the logos and names of the growing set of partners that have integrated with Facebook Messenger. Newer startups like Smooch, Conversable and iAdvize stood alongside publicly listed technology companies including Oracle, Salesforce, and and Zendesk. Some incredible statistics were unveiled, too — 8 billion messages exchanged between people and businesses each month on Facebook Messenger, and 150 million people talking to businesses each month through Instagram Direct. Over 2 years since Chris Messina first coined the term ‘conversational commerce’, people are starting to use the same messengers they use to connect with friends and family as their preferred way to interact and transact with businesses. The conversational commerce hype is becoming a reality. What’s driving this behavioural change between businesses and people? Messenger, Instagram and WhatsApp — Facebook’s latest product to offer people-to-business messaging — didn’t exist ten years ago. Compound changes in connectivity, communication, and consumption have created a perfect storm. In 2008, most of our mobile time was spent in offline mode. Slow 2G connections and limited access to Wi-Fi led us to rely on a multitude of locally installed native mobile apps to get utility value from our smartphones. Today, in a world of imminent 5G and limitless Wi-Fi, mobile connectivity is ‘always on’ — utility value is delivered in real time over the internet because we’re always connected. 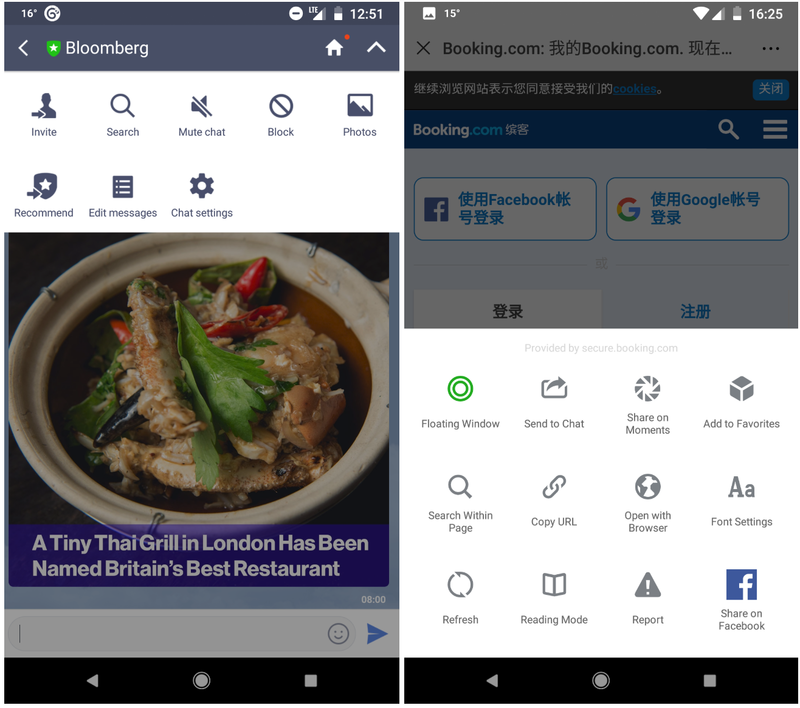 WeChat and Line both exhibit browser-like features, including the ability to search, share, and save website content. A significant amount of this new mobile internet time is spent messaging friends and family, and an increasing number of messages exchanged include links to destinations on the web. These messages are the new internet wayfinders. This form of navigation doesn’t take place in your typical browser — instead, we’re consuming web content right inside the messaging app where the link was exchanged. Every consumer messenger is a browser or fast becoming one — messengers are competing with mobile browsers like Opera, UC Browser, and Safari. Messenger wars are the new browser wars. Chinese users spend ten times more internet hours in Tencent’s messaging app WeChat vs Alibaba’s UC Browser. This battle may be a relatively new one in the West, but in Asia the lines that divide traditional browsers and messengers has been blurring for some time. In China, hourly usage of Tencent’s messaging app WeChat is ten times that of the nearest browser in the market, Alibaba’s UC Browser. In India, WhatsApp is the most-downloaded app on Android. UC Browser languishes in sixth place. It’s easy to understand why people are migrating to messengers as their browser of choice. People crave social connection, and messengers bring their connections to the mobile web experience. The narrative of bringing social connections to the web experience is already familiar to most of us. At their F8 conference in 2010, Facebook launched social plugins, enabling developers to embed social features and connections into desktop-rendered websites. Within 5 months of launching, over 2 million websites had integrated the ‘Like’ button and Facebook’s other social plugins. Static and impersonal web 1.0 experiences were quickly retrofitted to become interactive, social experiences. The emerging dynamic with messengers is very different. Retrofitting of social experiences within the mobile web is no longer required. Rather, the mobile web experience is embedded and wrapped within the social experience of messengers. Instead of integrating your identity within websites, messengers integrate websites within your identity. 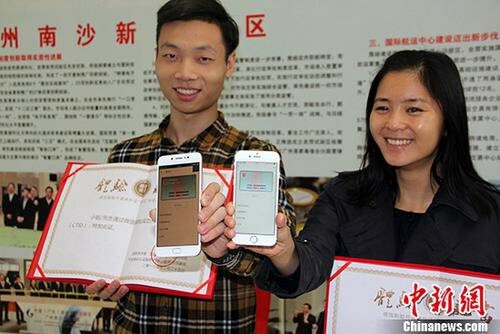 Citizens in Guangzhou, China can apply for and obtain a black-and-white e-ID through WeChat. ‘Identity’ even extends to Government issued e-IDs, which are available in China through WeChat. The implicit trust of face-to-face ID verification will be wrapped around the mobile web through consumer messengers. This fundamentally changes how we discover, share and interact with content, as all mobile web content is social by default. It also fundamentally changes how we interact with businesses, and impacts the choice of tools we use to interact with them. As the mobile web becomes embedded within consumer messengers, so will the myriad of ‘live chat’ business messaging tools LivePerson helped popularize since they first appeared in 1995. This poses a new challenge — how to counteract a potentially confusing ‘messengers-in-messengers’ experience. Messengers in messengers. Olark, Front, and Liveperson messengers, rendered within Facebook Messenger. Each website live chat messenger has subtle differences. Some require a name and email address to be form-filled before a conversation starts. Others display a variety of ‘self service’ options to search helpdesk articles, or sign up for email newsletters. Critically, each of these messaging experiences is very different from the consumer messengers they’re rendered in. Complexity breeds confusion. Federation layer services like Smooch are emerging to help tackle this problem. Smooch offer a single API for any business or SaaS platform to quickly integrate with Facebook Messenger, WeChat, Line, Viber, and Twitter. Rich messaging formats like carousels and call-to-action buttons are built in by default, with smart fallbacks to upgrade or degrade the experience depending on the messenger. Smooch also provide chat widgets to embed within websites or mobile apps, freeing up development time for live chat providers to build even higher quality omnichannel conversation management solutions for their clients. Over time, adoption of services like Smooch will enable more consistent experiences for consumers, regardless of the messenger they’re using. New services like WhatsHelp are emerging to complement Smooch, providing embeddable ‘click to chat’ buttons for mobile websites. Similar to social share button services like AddThis, these render messenger-aware, ‘click to chat’ icons, triggering conversations with businesses through the same messenger the consumer is already using. These services will democratize messaging as a communication channel for businesses, by making it fast, easy, and free to activate. For consumer messengers, these new services will drive adoption of consumer-to-business messaging within their platforms, as the option to chat with businesses will be available in more places, more of the time. Managing this influx of new conversations, and making the most of every interaction is becoming a priority for all internet businesses, from small businesses to larger enterprises. Although consumer messengers are increasingly providing tools for businesses to manage customer conversations, these are generally limited to the host messaging platform only. As a result, consolidating communication channels is becoming big business — a nascent ecosystem of SaaS solutions is emerging to tackle this problem, many of which have marketing automation in their DNA. 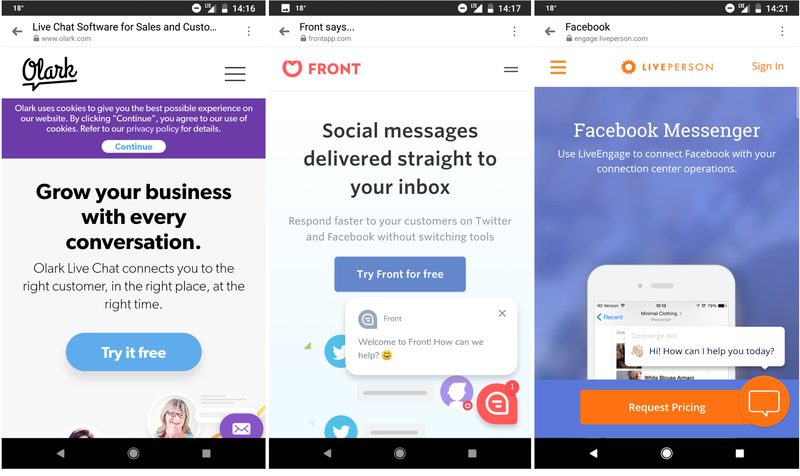 For larger businesses, Front offer ‘the shared inbox for teams’, consolidating messages from channels including Facebook Messenger, Twitter, and Twilio into a multi-channel inbox. Zendesk, Drift, and Intercom take this idea a step further, by leveraging signals and data from inbound conversations on those channels to segment customers and automate outbound communications. Shopify Ping offers a simple app for small businesses and sole entrepreneurs, integrating multichannel customer communications into a mobile app, making the most of Shopify transaction and event data to proactively suggest the best ways to support customers, through a simple bot interface. If the evolution of consumer messengers as business messengers is a multi-billion dollar market opportunity for SaaS businesses, it’s a multi-trillion dollar opportunity for consumer messaging platforms, and the tens of millions of businesses transacting through them. As of December 2016, Tencent’s WeChat Pay served over 600 million monthly active users, and process an average of 600 million daily transactions. Through facilitating hundreds of millions of daily transactions between people and businesses — closing the loop with their payments product WeChat Pay — Tencent are proof that consumer messengers are indeed the future of business messaging. Director of Platform Partner Success at @HubSpot. Previous: Product & Partnerships at @Facebook, @Intercom, @Zalando. Blog: http://developerecosystem.com.